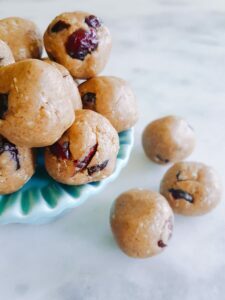 Protein bites that taste like Heaven in your mouth. 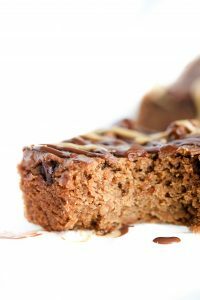 No bake, loaded with only “good for you” ingredients & Top 8 Free. Have you ever just wanted something to eat? You don’t know what that something is, but you’ve got to find it and will eat through the pantry in an effort to satisfy it. Well friends, this is what your stomach has been longing for! 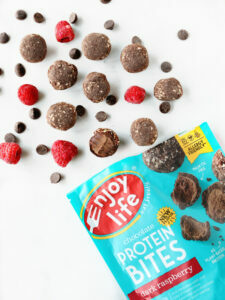 This little blissful bite of protein, not only satisfies any sweet tooth, but it’s perfect for all you snackers, breakfast-skippers, people on-the-go, non-cooks, protein junkies, food-allergy friends, & vegan foodies,,,,,REALLY! 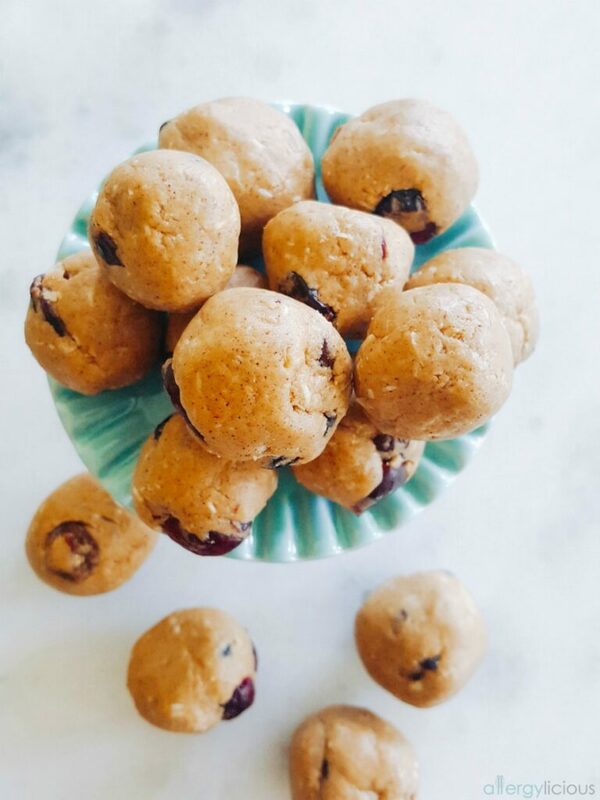 SunButter Craisin Protein Bites will satisfy any craving and you won’t feel guilty if you eat 2 (because you will). 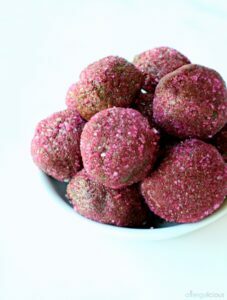 Each nugget to nosh on is grain-free, nut-free, dairy-free, vegan, and can be made with ingredients you can easily find! Plus, they feature Vanilla Protein Powder, giving each bite extra protein. 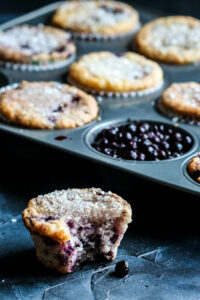 I’ve also loaded these little treats up with Natural Crunch SunButter for some extra texture, protein and healthy fats. Dried cranberries (a.k.a craisins), well that’s just the bonus to the bonus! Craisins contain phytonutrients that provide us with antioxidants, anti-inflammatory & anti-cancer health benefits. 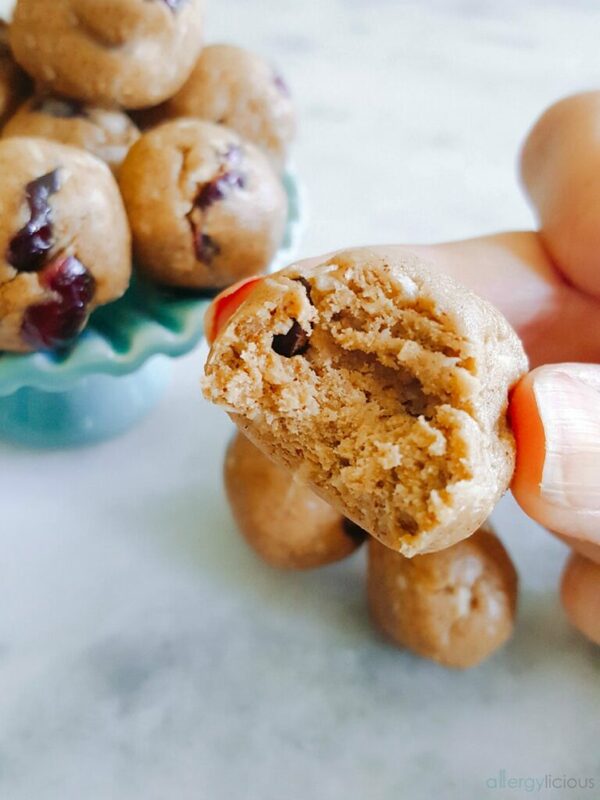 Now, even though these are healthy, they taste like you’re biting into a sweet & fruity, cookie dough ball. They are so good! I seriously just hid my most recent batch because my 17 yo finished off the last 10 (T-E-N) in one sitting. That kid can eat! At least it’s healthy, right? So, if you have teenagers, you need lots of these! My husband and I like to grab one when we’re heading out the the gym and my kids like them when they get the mid-morning or mid-afternoon munchies. My oldest, well he just grabs them whenever he can! Are you ready to make a batch so you can stop drooling over your keyboard? Let’s do it! 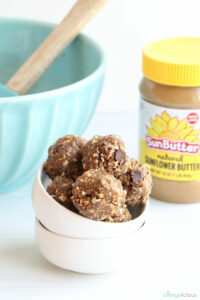 This delightful treat tastes like peanut butter & honey bliss but INSTEAD are vegan & nut-free! Loaded with protein, healthy fats and simple sugars, it’s the perfect quick snack or even party food. 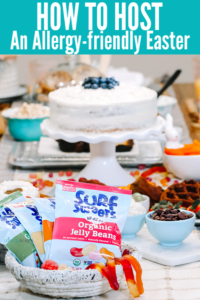 Surprise your guests with something healthy and hear them rave about your no-bake treat. In a large mixing bowl, whisk together coconut flour, shredded coconut, protein powder, and cinnamon. Toss in dried craisins. Stir in Sunbutter, agave and extracts. Use your hands to “knead” it all together into a dough like consistency. Store in sealed container and place in the fridge until ready to serve. Use this recipe as a base and try adding your favorite dried fruit, vegan chocolate chips, or shredded coconut. 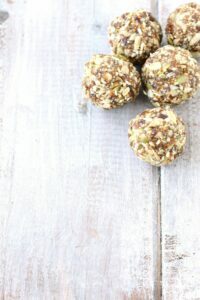 Have you tried your hand at making “no-bake bites” yet? What’s been your favorite flavor combination? What other healthy snacks does your family enjoy when the “munchies” hit or when you want to satisfy a sweet tooth? These look so good! I love that you added craisins for a little texture. So chewy and delish! Love the tart sweetness of craisins! These look delicious! I better pick up some sun butter! Thankfully, it’s easy to find now. Our Target has it and so does WalMart if you ever go to either. Makes it a little easier for families who don’t shop at natural stores as often. That sounds like a smart idea! These looks delicious! And all other good stuff makes my mouth watering! These sound delicious! I actually really like the taste of sunbutter, we don’t have nut allergies and enjoy nut butter as well, but there’s something about the sunbutter I love. These look like a perfect snack! I’ll have to try them out with my kiddos! I hope you do and thankfully, since you don’t have a nut allergy, you can always switch up what you use with what you have. I’m sure almond butter would be pretty tasty as well. These look so much better than the packaged bites I almost bought in the store today. They seem much more economical, too! Oh yay… Good thing you didn’t buy those packaged bites! Now you can make a batch of these real quick. Are you kidding? I wouldn’t feel guilty if I ate 5 of them! These look yummy.